I recently had the good fortune to license one of my photographs to Essential Living Foods, a Culver City, California based supplier and manufacturer of quality organic foods. 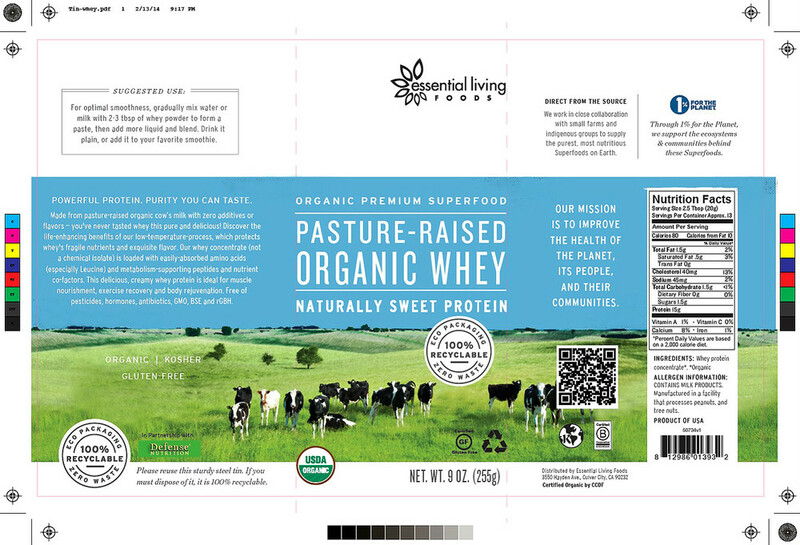 They have a new whey product and they contacted me about using my photograph of dairy cows grazing in a pasture for use on their new product. In fact, they updated the product packaging on their whole line of products, which was unveiled at an industry trade show last week in California. Here is that new product packaging using my photograph. I think it turned out pretty nice. Good people at Essential Living Foods and their design company in Austin, Texas. I hope to work with them again soon.